Hope you all are having a happy Monday so far! I want to share this really quick layout I did yesterday. I love this photo of Ronan and how his expression exudes a sense of joy and wonder. 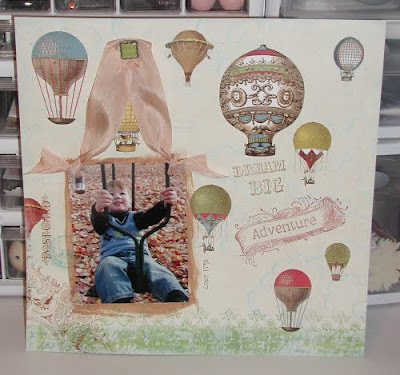 Several of the items I used on this layout came from the Seaside Cottage Kit at Noel Mignon. 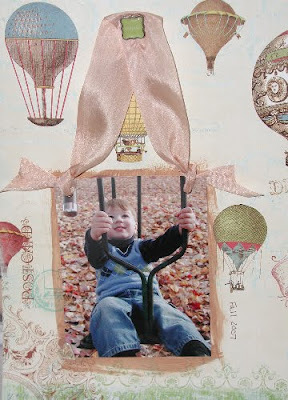 I just love this layout, Marcy! The expression on his face is just priceless! Hope you're having a wonderful day! Talk a about a perfect fit!! Glad you could capture this precious moment!